Speeches. Platforms. and some Questions. Ever since High School this time of the school year would always be one of my most anticipated ones (not counting the breaks, of course!) This time of the year would always be filled with discernment and surprises. It’s always nice to see people stepping up but it’s also nice to see people to step down to give opportunities for others. Yesterday, we had our annual Miting de Avance where the 19 EB candidates presented their platforms and answered some mild, tough and very tough questions by the panel comprised of the incumbent EB (seniors and those not running: Roshni, Fara and I). We started at 4:30 and the presentations began! JonnDy and Froi! Two of my favorite MEAns! Congratulations for the successful elections! 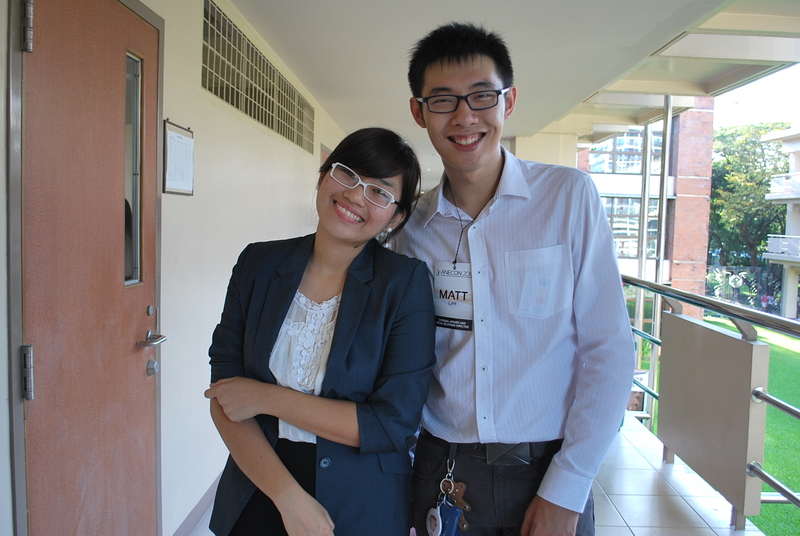 Bien and MattLee, 2 of the many other ASLAns running for position. Apparently, the ACheS Miting de Avance was just on the room before us! Fara and Mindy representing the CorRel Department! Katz and Mon. 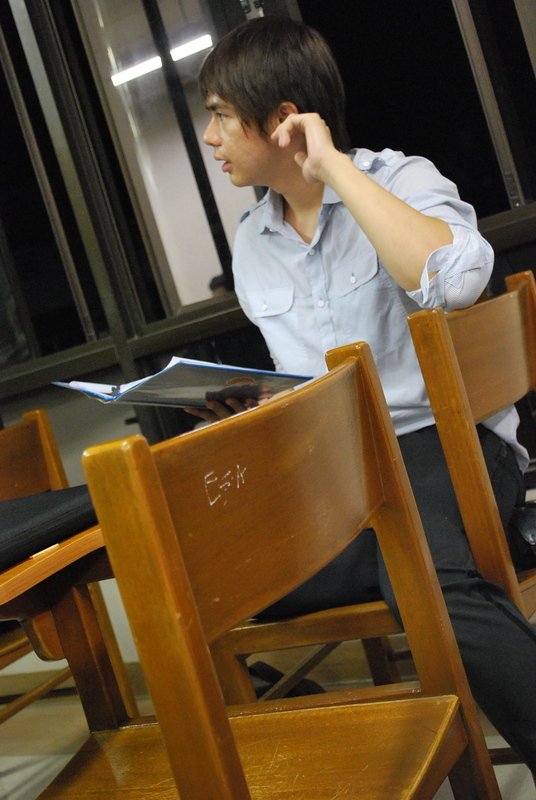 Supposed to be a candid shot but Mon saw the camera…well how can you not notice a dSLR if it’s just 4 rulers away from you? Haha! 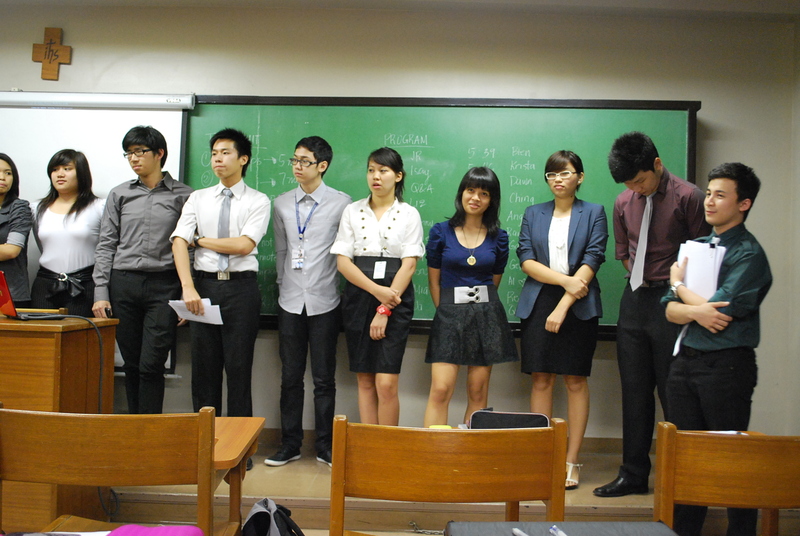 And now, the 19 EB Candidates! 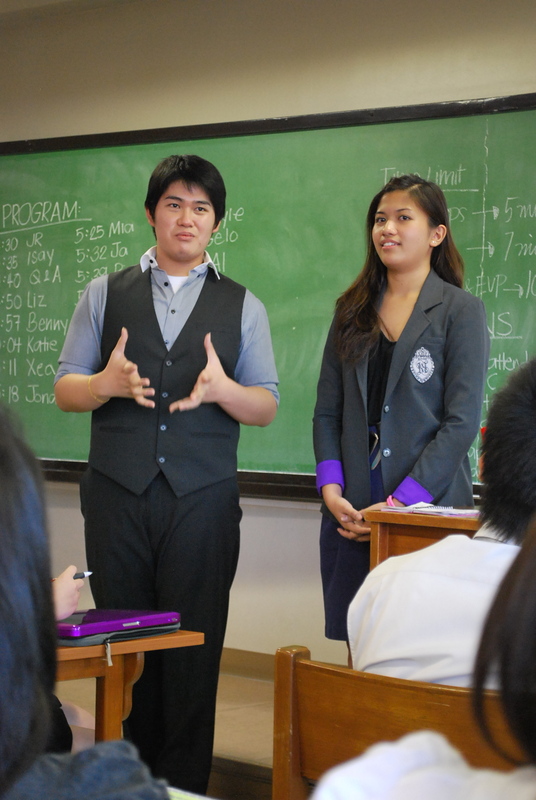 JR and Isay were the first ones to face the Open Forum! Krista, Liz, Dawn, Benny, Katie, Angel, Derrick, Ranamae. Gayle, Gelo, Xea, Jonan, Mia, Ja, Bien, Al, Rem. 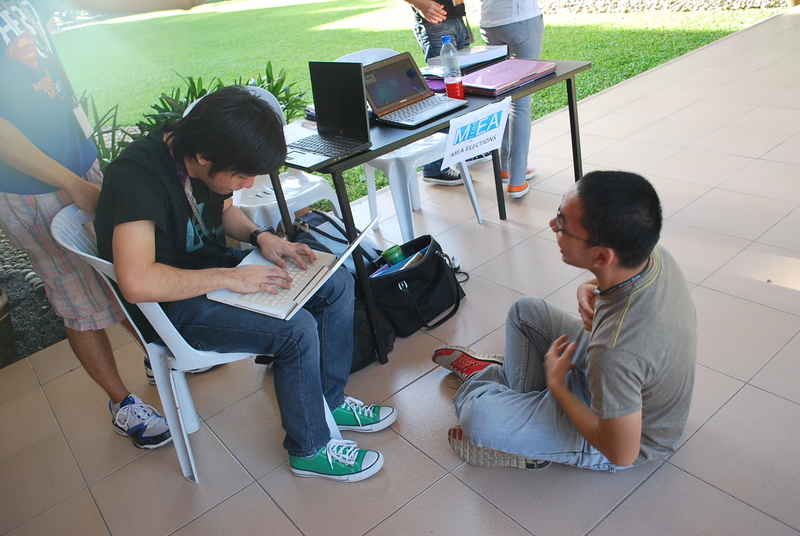 Paolo with his notebook filled with questions from cover to cover! Haha! Well not really, he just didn’t ran out of things to ask. Despite the fact that the Miting de Avance was around 4 1/2 hours (4:30-9:00 PM), I can say that everything was worth it. Almost 2 1/2 hours of questions and answers. Some things were cleared up yet some things were left as is because of the lack of time. 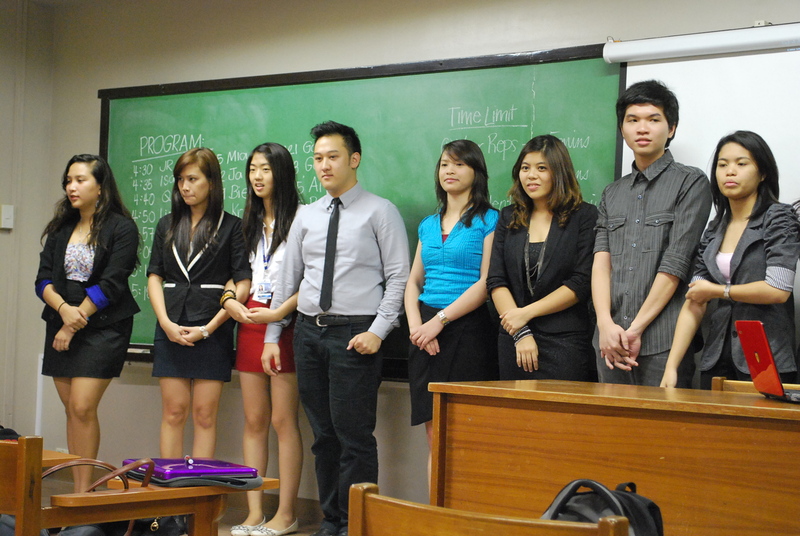 And I hope that the intense questions helped the candidates be more truly aware of the positions they’re running for. Hopefully 🙂 So best of luck to all the candidates and to those who will not be elected, I hope that you will not lose passion in serving and leading the organization and its members.